Originally called Safeway Safety Step, LLC, CleanCut was founded by Don Stafford. As a 37-year retired veteran of the City of Cincinnati Fire Department, Don had identified first hand the need for easier access to enter and exit the bathtub area. 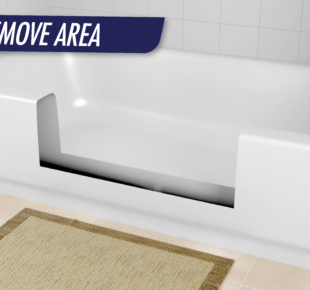 Don had a vision to create simple access to existing bathtubs without having to remove the tub and perform a costly bathroom remodel. Don applied for, and was successfully awarded a U.S. Patent for his innovative process and product. Today, CleanCut is second-generation family business that continues to develop innovative accessibility products. Our products have been installed for homeowners, assisted living and senior living residences, state and local social programs and hospitality properties throughout the United States. 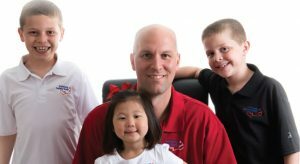 Our family is proud of the life-changing products we continue to innovate and sell. We are committed to carrying on the legacy that our father, Don Stafford began in 2001. 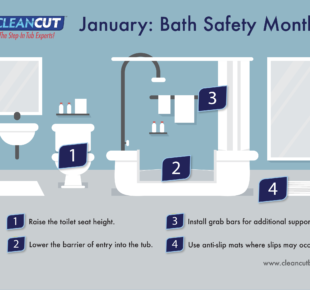 We’re a family company that is committed to improving lives through tub product innovations that are both safe and convenient to use. We thank the tens of thousands of customers who continue their support of our products and our family! CleanCut Convertible: New Fast-Twist Screws!